Friendly Visitors are volunteers who are interested in visiting with clients who live in their own homes and would like some extra socialization. 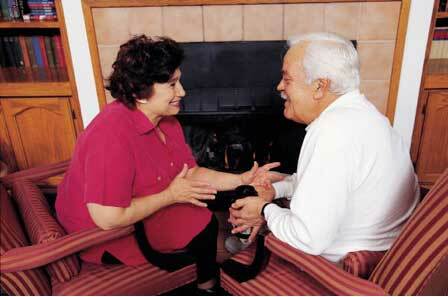 Volunteers provide companionship and support to help individuals retain their independence. A Friendly visitor can visit in a client’s home, play games, go for a walk, visit at the local coffee shop or activities of mutual interest to the volunteer and client. Volunteers are matched with clients based on factors such as location, similar interests and personalities. We try very hard to make sure volunteers and clients will be compatible. Careful screening is used when matching volunteers with clients. All volunteers go through a police screening process as well as reference checks and interviews.